Will pick up and service your vehicle and re-deliver it to your home or place of business. 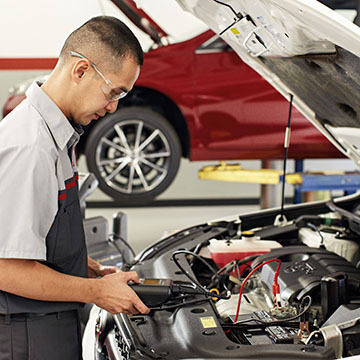 Keep your Toyota or Scion vehicle operating at its best with servicing by certified, Toyota-trained technicians. Westboro Toyota located in Westborough, MA is your one-stop shop for Original Equipment Toyota parts and licensed technicians who have been trained by the source at the University of Toyota. 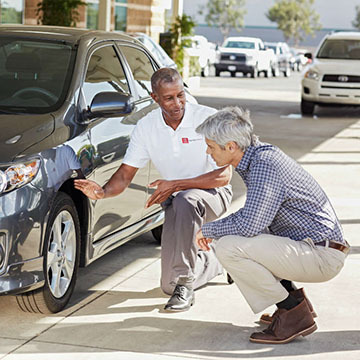 Experts in all aspects of Toyota and Scion vehicles, Westboro Toyota’s team of certified professionals will service your Toyota or Scion to ensure years of trouble-free driving. A true complement to the quality Toyota builds into every vehicle, the Westboro Toyota team of ASE- and L1-certified Toyota experts will ensure your Toyota operates at peak performance and will bring you peace of mind with the quality of their workmanship.When it comes time to bring your Toyota or Scion vehicle in for its regularly-scheduled maintenance or troubleshooting, you have the option of contacting Westboro Toyota by phone to make an appointment, or by using the Westboro Toyota Online Service Scheduling Form to send in your appointment information. If you need a ride to work or back home after dropping your vehicle off, Westboro Toyota offers a shuttle service to get you to where you’re going. If it is too much of a hassle to bring your Toyota or Scion vehicle in to Westboro Toyota, a valet service is also offered, by which Westboro Toyota will pick up your car from your work or your home and bring it in for servicing. All Westboro Toyota service personnel are certified Toyota technicians who have been trained directly by Toyota in all aspects of Toyota and Scion vehicle maintenance and in the use of specialized tools for working on Toyota and Scion vehicles. 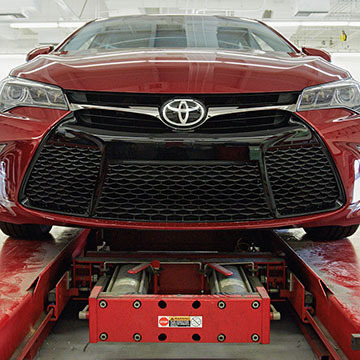 Your Toyota or Scion vehicle is a precision machine and requires skilled hands and exact tools to be worked on properly. The Toyota technicians of Westboro Toyota in Westborough, MA have decades of experience to draw upon in diagnosing and fixing your Toyota or Scion vehicle. Many of the Westboro staff have been employed by Westboro Toyota for several years–in many cases, for decades. You can be certain that your vehicle will be worked on by people who know your car and who can count on each other for expert assistance. 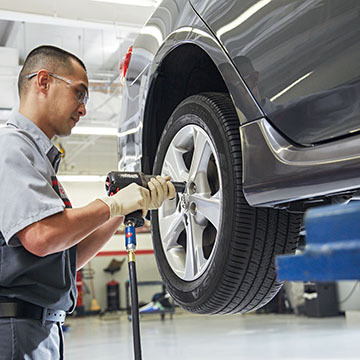 With a focus on quality and with technicians servicing on one vehicle at a time in the repair shop, Westboro Toyota strives to be the best the industry has to offer in Toyota service and parts. Satisfied customers reap the rewards of Westboro’s decades of service experience. From original Toyota parts in Westborough, to professional Toyota service, you can rest assured that your Toyota or Scion vehicle is in the best care when being serviced at Westboro Toyota. Please use the buttons above to schedule a service appointment or contact our service department. We can be reached by phone at 888-336-4745.